Dry eye syndrome, often called dry eyes, is more than just an inconvenience: it’s a serious eye condition that can cause blurry vision, severe eye inflammation, and eye pain if you don’t seek help from an experienced eye care provider. 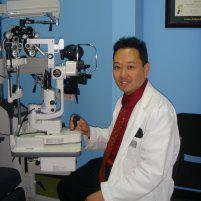 Henry Oishi, OD, at Eye Appeal Optometry is an experienced optometrist who can deliver quick symptom relief. Use the online appointment tool or call the Temecula, California, office to get dry eye help now. Dry eye syndrome happens when your eyes don't make enough tears, or when your eyes don't make sufficient high-quality tears. Your natural tears should include three layers: the lipid, watery, and inside mucin. In dry eye syndrome sufferers, tears are typically missing the lipids that help them moisturize their eyes. Why does dry eye happen? Knowing the cause of your dry eye syndrome can be helpful in designing an effective treatment plan, so Dr. Oishi will try to isolate your dry eye syndrome trigger whenever possible. Perhaps the strangest symptom of dry eye syndrome is actually overly watery eyes. Although your eyes may water more than normal, they're not making good quality tears. Those tears are your body's attempt to soothe your over-dry eyes, and they're made of the watery layer only. When your eyes get overly watery due to dry eye syndrome, those poor-quality tears tend to both well up and dissipate much faster than healthy tears do. In rare cases, dry eye sufferers need surgery. If that's the case, Dr. Oishi will co-manage your care with your eye surgeon. Are dry eyes making you itchy, red, and frustrated? Don’t suffer any longer. Use the online booking feature or call the Eye Appeal Optometry office for dry eye help today.